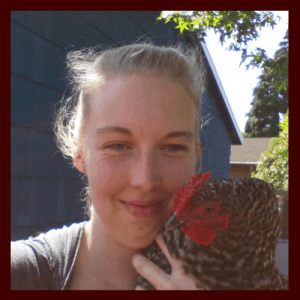 If you are interested in becoming more self reliant and living off grid, you will want solutions for preserving meat without a refrigerator or a freezer. One method is canning, but that can be energy intensive. Another great option for preserving meat is through making jerky. 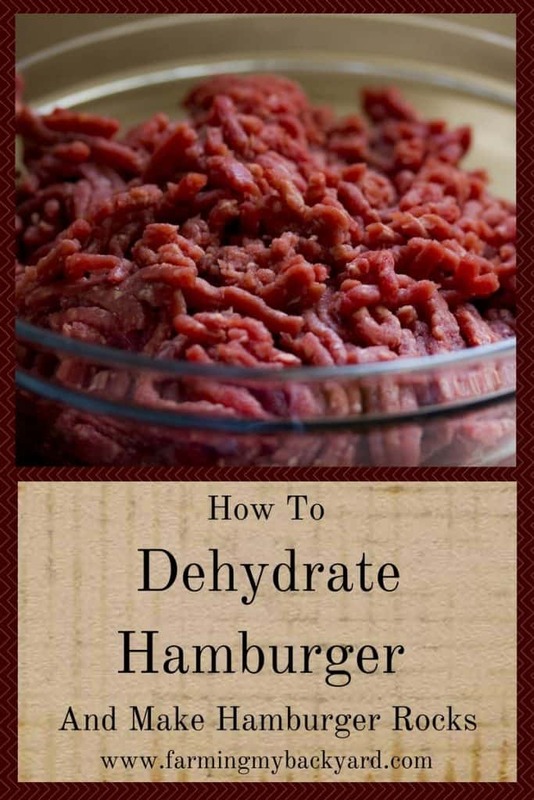 Jerky has limited uses though, so when I found this recipe on how to make dehydrated hamburger, or “hamburger rocks”I knew it was a great option for using dried meat in every day meals. The first step in making hamburger rocks is to precook the meat. Fry your ground meat. I prefer using cast iron, but any pan will work. Next, drain off the grease and put the meat in a colander. Here’s where it gets a little different than your run of the mill meal prep. You need to rinse the cooked ground beef really well. Get as much grease off as you possibly can. When you think you’ve rinsed it enough, rinse it some more. Once you’ve removed as much grease as possible, replace the meat in the pan and fry it a second time to remove the excess water. Once the water from the rinsing has cooked off, transfer your meat onto a drying rack or cookie sheets in the oven. If you have a dehydrator you can use that too. Dry the cooked ground beef for two hours or longer if needed until dry. If it doesn’t seem to be drying, it’s possible it may be too greasy. I did mine overnight because I thought it wasn’t getting dry, but it turns out it was just too greasy. Once the meat is completely dry, you can store the hamburger rocks in mason jars in the kitchen or pantry. They are easily rehydrated by soaking in twice as much water. For example, use two cups of water per one cup hamburger rocks. The rehydrated hamburger rocks can be used in any recipe calling for cooked ground beef. I suggest using it casseroles. I used mine in lasagna and it was good. Hamburger rocks can really expand your diet if you are living without a fridge and make a great emergency food. Go ahead and try them! Hi! I just found my way here from Miss Minimalist, and I definitely will be back! We live on a sailboat in the summer, so we have limited refrigeration (a small fridge during the day that can’t be run at night when we’re at anchor). Wow that’s so cool! I’ve only been on a boat a few times, but it feels like flying across the water, I loved it. How cool! How do you store it? I’m thinking of vacuum sealing it. I’m inclined to freeze it, but that’s counterproductive! How long might it last on a pantry shelf? You can store it in ziploc bags or mason jars in the cupboard. They are supposed to last up to two years on a cool shelf but I personally haven’t tried that long.